Short Film Spotlight: Ralph Plays D’oh! 01/14/2016 | 2D Animation Spotlight | Comments Off on Short Film Spotlight: Ralph Plays D’oh! Directed by John Kricfalusi, the creator of Ren & Stimpy. Sam Simon, co-creator of The Simpsons, died Sunday of colorectal cancer at his Los Angeles home. Mr. Simon was 59 years old. 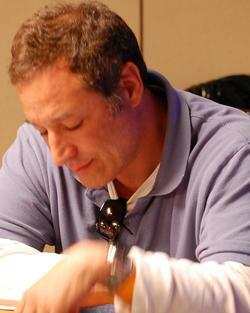 He developed the hit series alongside Matt Groening and James L. Brooks. He was a producer and writer and won numerous Emmy awards for his contributions. He also wrote and produced other classic series, including Cheers and Taxi. While many will remember him by his contributions to television, many others will remember him by his philanthropy. He especially loved to support animal causes, even going as far as buying circuses and zoos just to free the animals. May you rest in peace, Mr. Simon. Couch gag from “Clown In The Dumps,” which aired September 28, 2014. One of the best couch gag’s in the show’s history, in my opinion. Check out this sneak peek of the LEGO-themed episode of The Simpsons airing May 4.